Carmel City Center | SpinCycle and The Yoga Studio Coming Soon! SpinCycle and The Yoga Studio Coming Soon! Home \ SpinCycle and The Yoga Studio Coming Soon! This spring, Carmel City Center will celebrate the opening of two great workout concepts, SpinCycle and The Yoga Studio. SpinCycle is a revolutionary new cycling studio offering a full mind/body workout. It combines heart pumping cardio, upper body and core strengthening hybrid classes with a mind blowing dose of inspiration! 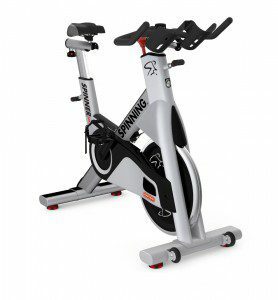 Its unique blend of high-energy-inspirational instruction, adrenalin-pumping music and the implementation of weight resistance during your ride creates the SpinCycle experience. Owner Cathy Miller is excited to bring the concept of mind/body spinning classes to Indiana with her own unique twist. “Many people have the perception that spinning is either intimidating or boring—SpinCycle is neither of those. It brings together two of my favorite disciplines, spinning and yoga, taught by the very best instructors in the area,” said Cathy. The Yoga Studio features a dynamic, challenging style of yoga that will help you lead a happier, healthier and more productive life. Combining the ancient yoga traditions with breathing, moving and meditation brings a new awareness and awakens you to a deeper connection to yourself and others. In every class, you experience strength, endurance training and flexibility. 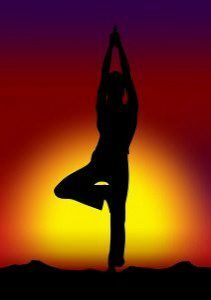 Classes offered include Vinyasa, Slow Flow, Power Yoga, Short Form Ashtanga and Yin Yoga. The Yoga Studio also offers specialty restorative classes that mix yoga with Thai body work. All classes are either hot or heated. In addition to their signature classes, private instruction will also be available, which allows the teacher to customize a practice for people with injuries, limitations, or those new to the practice. “The Yoga Studio will inspire you to live your yoga all day, every day—both on and off the mat. Each practice provides an opportunity to rejuvenate and celebrate a new way of being,” said Karen Fox, owner of The Yoga Studio. SpinCycle and The Yoga Studio will both be located at 736 Hanover Place, Suite 113 on the first floor of the Drewry Simmons Vornehm building on the interior of Carmel City Center.